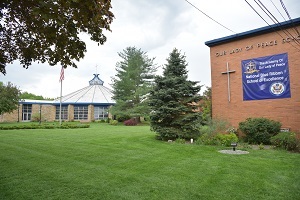 At The Academy of Our Lady of Peace, your child is a part of the Parish community of Our Lady of Peace Church. Our staff is dedicated to the growth of each student academically and spiritually. Along with our dedicated teachers, the Pastor and Principal are there to guide the children on their journey to personally know Jesus Christ. To get in touch with a member of our faculty, please call the School Secretary at 908-464-8657.